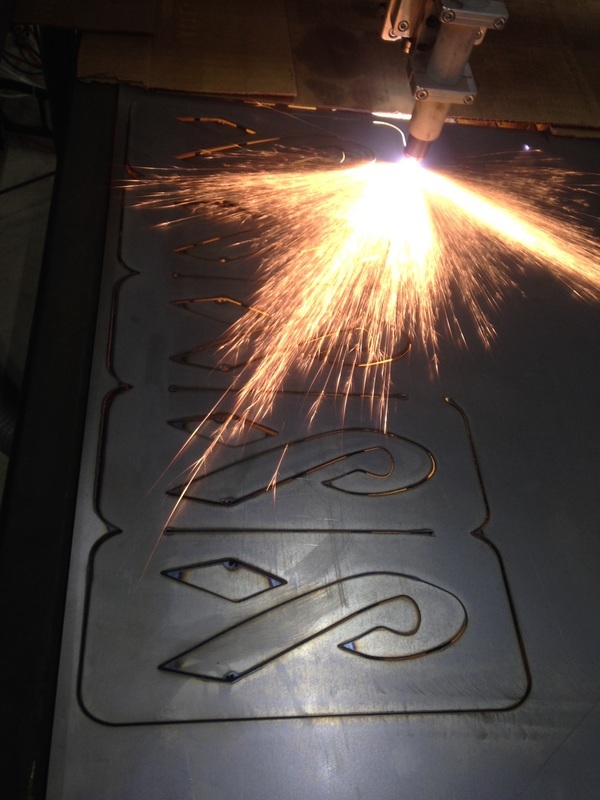 From concept to design to creation to fabrication, the process behind the completion of any CNC Plasma cut part is quite involved and rather complex. Once a design exists in the creator's imagination, it is then rendered electronically using a variety of drawing and design programs, including AutoCAD, PhotoShop, and Inkscape. Once a computer drawing is completed, this is then used to create what is known as "G-Code," which is a set of instructions that tell the CNC Plasma Cutter how exactly to cut out the desired part. 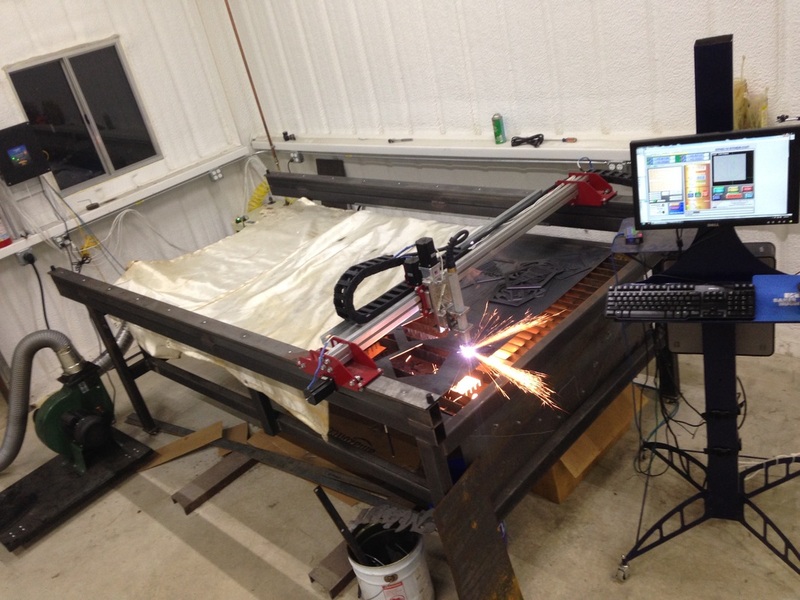 This part of the process is completed on a custom made, hand built CNC Plasma Table, fabricated in-house by Mayfield Metal using only Made in the USA components and hardware. The entire process of the creation of every part manufactured at Mayfield Metal is scrutinized closely and only those parts that meet the most stringent of quality control standards ever leave our facility. Here is an example of one of the very first stages of a custom designed and manufactured piece, in this case, a queen sized headboard that will be constructed of 1" square tubing, custom rolled and arched in house at Mayfield Metal, as well as 10 gauge sheet metal for the center section of the head board. Once a part has been designed in one of several programs, it is then transferred into Sheetcam, which in turn writes the G-Code which will ultimately serve as the instructions for the CNC cutting process. Mach III is the final program used by Mayfield Metal to complete the cutting process. 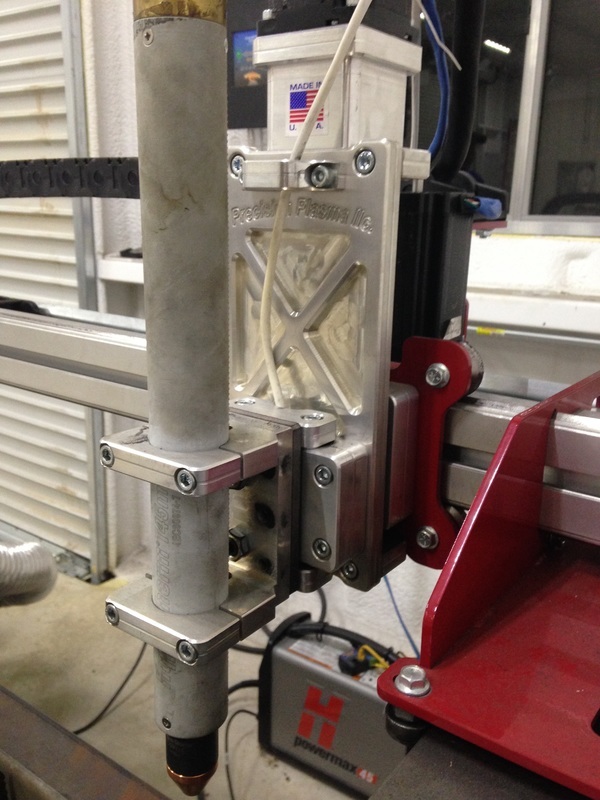 This program works seamlessly with hardware that has been expertly designed, engineered, and manufactured by CandCNC. Quality Control Inspector Fred Bear overseeing the final assembly of one of Mayfield Metal's unique geodesic fire pits.